Centerline of crank to bottom of bracket = 2.275"
Make alternator installation safe and simple with parts from East Coast Auto Electric. 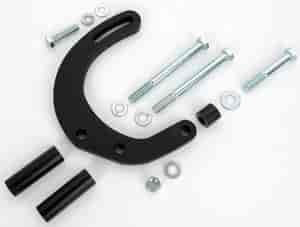 Mounts are anodized 6061 aluminum and include hardware. Wiring Kits provide sufficient voltage to your alternator with minimal voltage drop. Does East Coast Auto Electric 2235 fit your vehicle?